To say I LOVE reading and watching curriculum reviews is a bit of an understatement. It pretty makes up my leisure time viewing/reading. But I learn SO much from other mamas! Don’t you? I’m so thankful for the mamas who take the time to explain not only what is in the resources, but also how they plan to use it and, better yet, how everything panned out at the end of the school year. Although we did kindergarten with my son a couple of years ago, I am pulling the stuff back off the shelves to give you a sneak peek. Hopefully, someone will find this helpful. Feel free to ask any questions about things you see here and I will do my best to help you. I didn’t come up with a “bad” plan. I just came up with too much of one. PHONICS: BJU Press K5 Beginnings. I had both the parent-led materials and the distance learning videos with complete instruction. READING: BJU Press K5 Reading. Again, I had both the parent-led and distance learning videos as part of my plan. I also added in Bob books, Teach Your Monster to Read and Reading Bear, all free websites! MATH: BJU Press K5 Math. And, you guessed it, I had both parent-led and distance learning videos. The curriculum came with a manipulatives packet and I also bought a few extra things, like a geoboard and puzzles. HANDWRITING: Printouts from Mama’s Monkeys blog. Handwriting instruction is included with the K5 Beginnings curriculum, however, I knew during the planning stage that I did not want to use it. I would call it an Italic/D’Nealian style font. I just wasn’t fond of it and wanted a basic “ball and stick” manuscript. 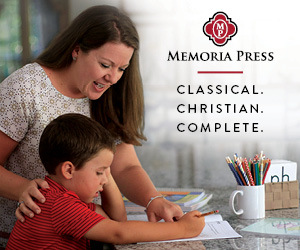 EXTRAS: Kindergarten Recitation from Memoria Press, Calendar Time (printouts from Confessions of a Homeschooler) and Read Aloud Storytime. For read alouds, I used the Simply Charlotte Mason books list, as well as some from the Sonlight and Memoria Press Kindergarten Literature lists. We planned for weekly nature study and my son took swim lessons, played basketball and soccer and participated in weekly Bible club and Sunday School. Science/Community/Art topics are interspersed in the K5 Beginnings curriculum. Since I really wanted to focus on the 3 R’s, I felt like what was included already was fine. Phew. Just typing it all out I should have known it was alot. But I was a newbie. Stay tuned to hear how this went, ha!